How to animate no animatables attributes with graphs. There are some attributes in RealFlow that cannot be animate, for instance, all the ones start with a @blablabla. 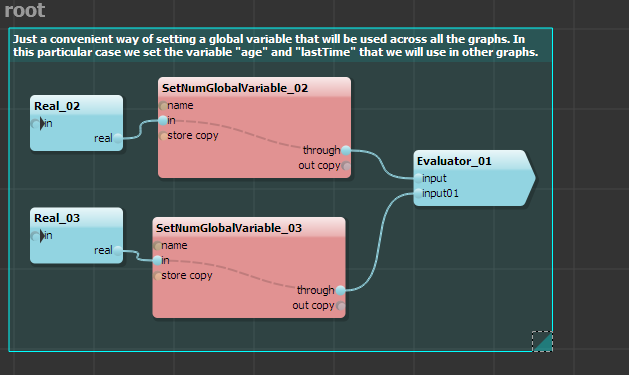 You can create a py script or use some graphs nodes in conjunction with py code. 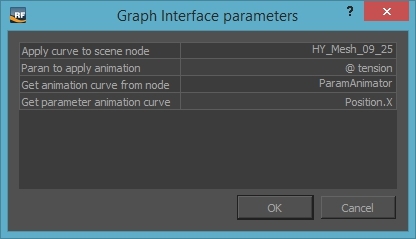 This graph is really simple, it use a null object in the scene to transfer the animated channels to the non animatables channels or attributes from other nodes in the scene. This is a workaround for the SetParameterNode that is not working properly in the actual version. This graph should be pluged to the FramePre o StepPre folders in the Simulation Flow panel. For setting the inputs you need to select the “Edit Graph input parameters” button and a dialogue box appear to set the nodes and params. This is the animation curve will be applied to the non animatable attribute. Thanks to NextLimit Team for the help.